There are three broad price categories for our Marvel-themed gear listing consideration - starting from under S$200, then from S$200 to S$500 and from S$500 and beyond. Enjoy! This compact wireless mouse is ideal for notebook users on the go, there are 5 exciting designs to choose from and the latest is Captain Marvel. Supported on Windows, macOS and Linux devices, the mouse boasts of a 12-month battery, courtesy of its bundled AA battery. 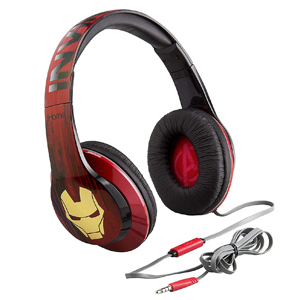 These wired headphones from iHome feature Iron Man’s face shield icon on both of its earcups, and has the word “Iron Man” emblazoned across its headband. It comes with red and black finish, and comes with padding for comfort. Are waffles considered the cornerstone of any nutritious meal? 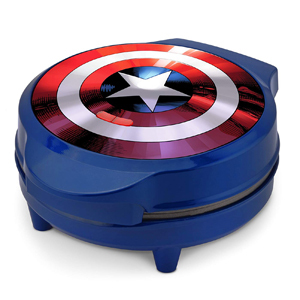 We guess not, but why not make one with the Marvel MVA-278 Captain America Waffle Maker? The maker resembles the Captain’s shield and the waffle iron inside will create a star imprint on your piping hot waffles. Jazz up your new Samsung Galaxy S10 series phones with these Smart Covers from Samsung. 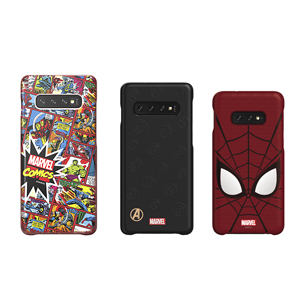 Not only do they provide protection for your new phone, but they also enable special Marvel content! This Bluetooth-enabled speaker connects to supported devices from up to 33 feet (over 10 meters) away. Its handle responds to touch and the hammer lights up for added effect. 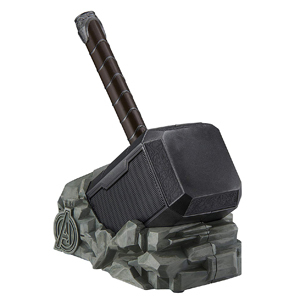 Like the Mjolnir, this device just needs a deserving wielder! 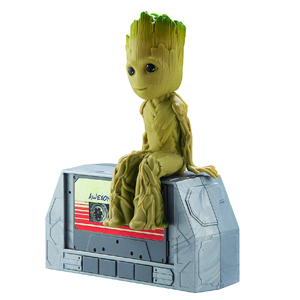 This speaker is rather primitive in functionality, so it’s purely for fans of Groot. It only connects to an audio source via its auxiliary input jack. When turned on, it plays a single built-in tune and the Groot figure will gyrate to the tune.